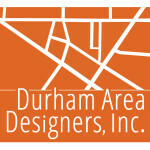 DAD assisted Durham Parks and Recreation with a design workshop that addressed the renovation of the historic Durham Athletic Park. Our graphic report and written findings influenced the City Council to increase the budget for the renovations from $1,000,000 to $4,000,000 plus. The new facility, first operated by Minor League Baseball as a training facility for officials, grounds keepers, and concessionaires, still remains the home field for NCCU baseball as well as School of the Arts baseball.